The Selection: “The Haunted Valley” which may be read for free online. It was actually Bierce’s first published story, seeing print in 1871. 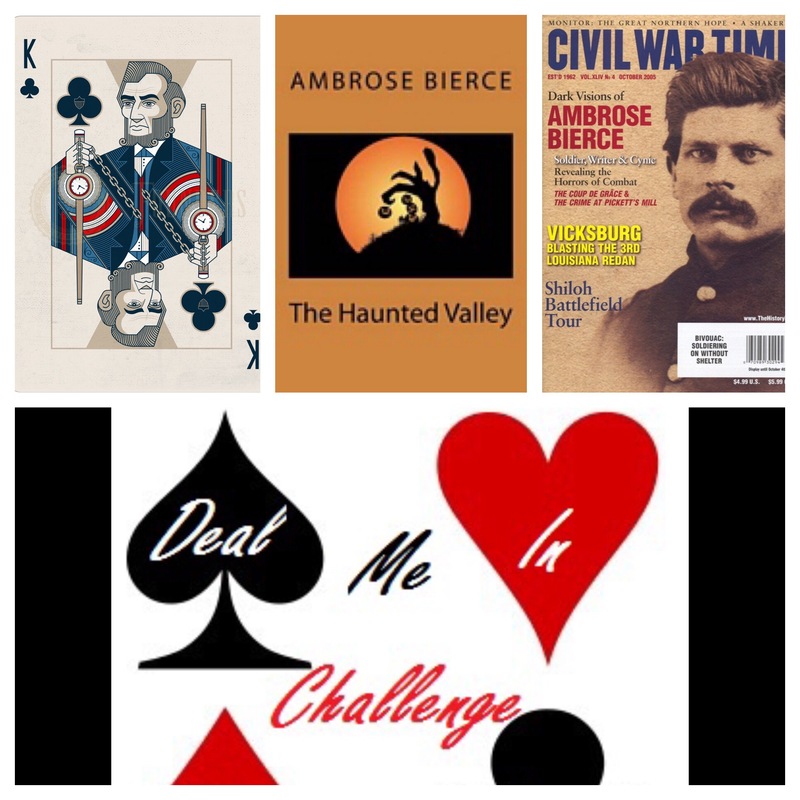 The Author: Ambrose Bierce – though actually born in Ohio, Bierce served in an Indiana Regiment during the Civil War and went on to be one of the most famous writers of weird or ‘occult’ stories in the 19th century. I’ve blogged about a few of his stories in the past: Beyond the Wall, and The Man and the Snake to name a couple. This story is probably my least favorite of the Ambrose Bierce stories that I’ve read thus far, but it is certainly not without merit and, though the story line itself didn’t exactly grab me, the writing was up to his usual high standards. It’s a story I’ve “almost heard” several times before – a narrator describes a road or route that he commonly travels that takes him through some eerie terrain (in this case a dark ravine) that gives him the impression of a lurking evil presence. The unnamed narrator of this story goes on to give us a little of the backstory. It seems the valley was once inhabited by a “Jo. Dunfer,” a rather unlikable man who at one pointed hired “a Chinaman” to work as a laborer on his property, though he had virulently racist attitudes toward the Asian race, who he considered to be attacking the country like locusts. At one point, he decides to build a cabin in the darkest part of the ravine and a dispute arises about how best to cut down the lumber required. Apparently, the Chinaman, “Ah Wee”, instead of the traditional ‘chopping down’ method we use, fells trees by cutting in a shallow manner all around the circumference near the base of the tree. For some reason, this method throws Mr. Dunfer into a rage. Dunfer has also since died and is buried next to the unfortunate Ah Wee at this location, which adds to its haunted-ness. Have you read anything by Ambrose Bierce? What are your favorites among his short stories? The Old World/New World quotation is quite good.